This is a GREAT looking watch. 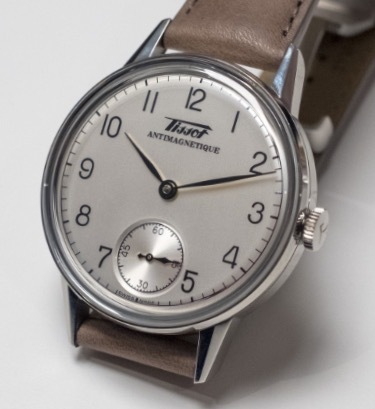 42mm, stainless steel case, smooth manual-wind movement. Watch is pristine and includes boxes, papers and warranty from authorized dealer. I'm the original and only owner. Original strap and buckle are brand new (never worn).